killa hearts you: Thanks, Sephora! cashier: "hey, according to my records, it's your birthday tomorrow... what would you like as your free gift, vanilla cupcake shower gel or lipgloss?" 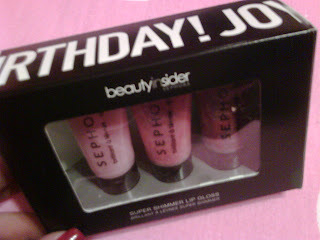 that is what Sephora got me for my birthday.